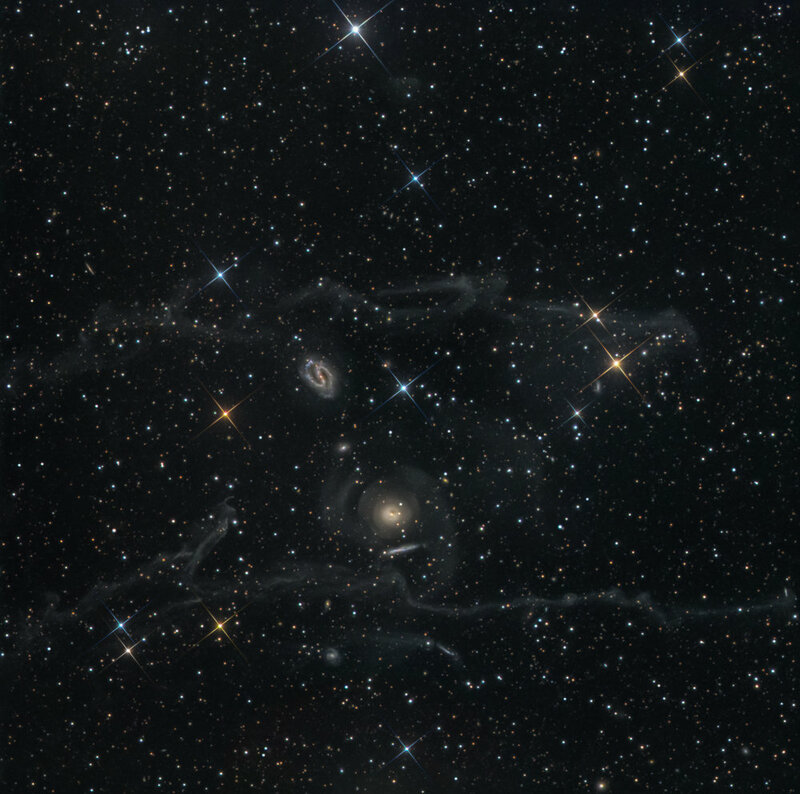 This is an image I was taking searching for outlying shells aroundelliptical galaxy NGC 2634. I was surprised to see so much activity in this field. NGC 2633 shows some nice spiral arms and some detail in NGC 2634A. The integrated flux nebula is another pleasant sight in this photograph, winding around in front of the galactic field.